The dinghy is a watercraft, which consists of an air-filled tube. This tube is divided into several chambers, in order to guarantee optimum stability, even if it is damaged. From very early on, humans have been benefiting from making air-filled boats. 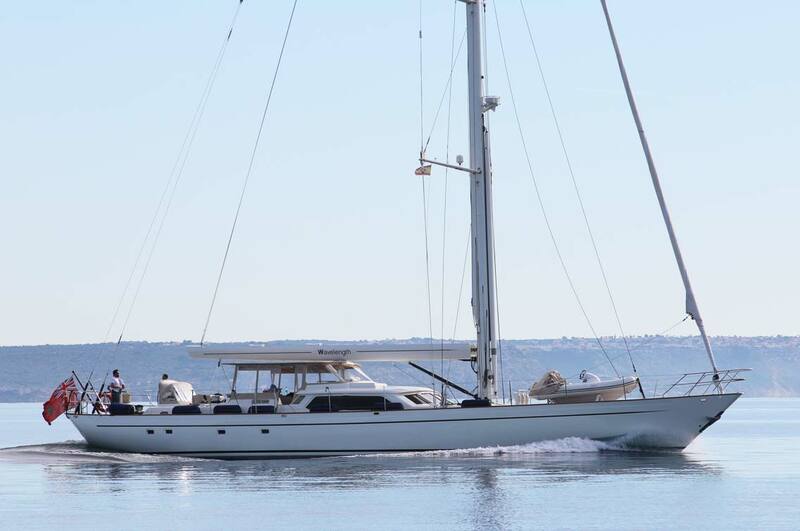 However, the dinghy which we know today is mainly the product of further development and optimization by manufacturers and brands such as: Zodiac (Bombard), Hermann Meyer, Dunlop, Goodyear and Wiking. The French company Zodiac is considered to be one of the most famous manufacturers of rubber inflatable boats – so much that the name Zodiac has even managed to become a synonym for inflatable watercrafts in France. With or without outboard, the dinghy is ideal as a cheap entry-level unit into the world of water sports. 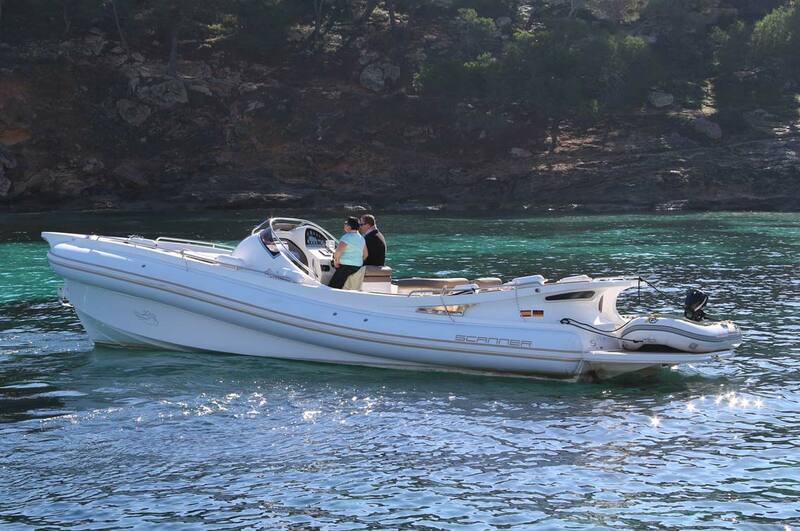 Often the first charter vessel one will use is a tender with an outboard engine; making it ideal for exploring secluded beaches and coves on holiday. It is also ideal for getting off and back on quickly and easily, likewise for swimming and snorkeling in shallow waters. Inflatable vessels are also used on domestic rivers and lakes as transportation, because a boating license isn’t required for motors with an output power of only 15 HP within Germany. Inflatables are also comfortable, practical and versatile, depending on their size and quality, and they have (almost) no depth which means they can be used in shallow areas worry-free. Rubber boats up to a length of 2.5 m can be easily packed up and stored in the trunk or on the roof of a car or caravan, which makes them easy to bring along on a family vacation. But beware: not every European country adheres to the under 15 HP limit for unlicensed boating! France, for example, requires boaters with motors of 10 HP and up to possess boating licenses. 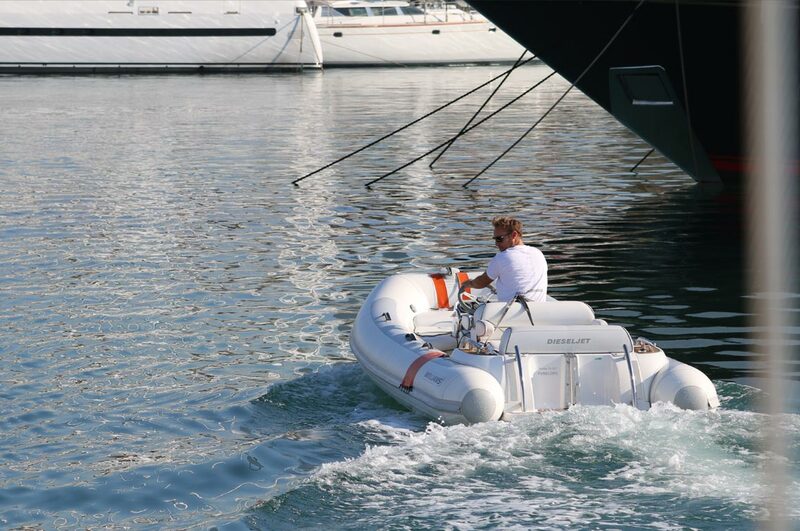 The dinghy is also the ideal yacht tender aboard a sailing ship or larger motorboat. Depending on the size of your own boat and the available space on board, fully inflatable rubber boats, with or without solid hulls are viable options on board. Having a dinghy on board also gives you the option of quickly moving from A to B, without having to break away from mooring your vessel as well. Additionally, when it comes to working on the hull of your yacht, the dinghy provides a practical platform on which to perform your work. Before buying an inflatable boat you should think carefully about how many people and how much weight you want to carry, seeing as inflatables do not offer a lot of space and they have a maximum payload Overloading a dinghy doesn’t just lead to accidents occurring, but it can also get you in trouble with the river police. If you don’t have much space available to accommodate your new dinghy, pay due attention to the specified pack size of the dinghy - seeing as every centimeter of a dinghy counts on a sailboat! On sailboats, we recommend stowing the dinghy on deck or on the roof of the cabin, in case it cannot be rolled up and packed into in a locker. Another important point to consider when purchasing an inflatable is the maximum outboard motor weight that the dinghy can handle. This will also be a deciding factor in how fast and powerful your new dinghy will be. For example, the Torqeedo brand offers an electric outboard motor, which impresses with its lightweight, excellent maneuverability and its ability to propel inflatable vessels of up to 2.5 m in size. The bottom of the dinghy is meant to provide driving stability and comfort. 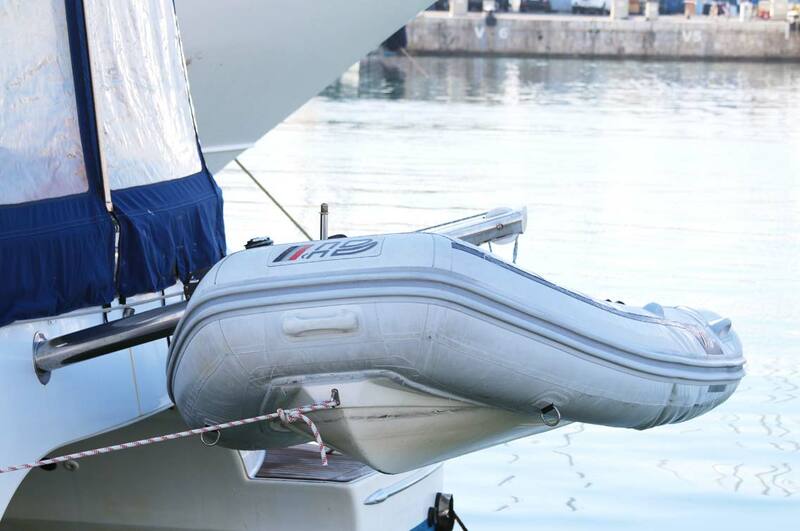 Compact inflatables, which are primarily used as dinghies are usually manufactured with slatted bottoms or inflated bottoms This is also the case with our SEATEC series NEMO and YACHTING dinghies. The so-called high-pressure air floors of our brand-new AERO TENDER inflatable series consist of two V-shaped converging high-pressure air chambers. The great advantage of this is its high stability, despite its very light weight. Another type of dinghy bottom is the multi-divided aluminum plate, which ensures a firm grip while on board. At the same time, these bottoms are relatively easy to remove as well. For this reason, the vessel remains compact and easy to store. We also offer the SEATEC DOLPHIN with aluminum floors. This model is probably the most rugged type of inflatable which we offer. This rigid inflatable has a solid, double skin GRP hull, which provides a high degree of driving comfort. The rigid inflatable boats which we offer from SEATEC are the PRO SPORT and the SPORT GT. Rigid inflatable boats also offer the best drivability amongst other types of dinghies and they provide the user with a variety of installation options, such as the attachment of a sunscreen. Although many people still call dinghies „rubber boats“, very few dinghies are currently made out of real rubber. In order to produce functional and durable dinghies, materials such as PVC (polyvinyl chloride) or a combination of hypalon and neoprene are used. Robust dinghy tubes consist of double-coated support fabric which is made up of several layers. Our SEATEC rigid inflatable boats are made out of inflatable tubing, separated by several air chambers and a solid, double-layered fiberglass hull. Maintaining the correct air pressure is essential to the upkeep of your vessel. This is especially true if the bottom is inflated and not reinforced by slates or boards. You should always make sure that there is sufficient air pressure before you finish inflating your dinghy. For this purpose, we offer a high-quality air pressure gauge in our SVB online shop. The SVB online shop offers a wide range of affordable, high-quality inflatable boats. Starting with fully inflatable "rubber boats", to inflatables with fixed flooring, then on to high-quality rigid inflatable boats (RIBs) - SVB offers the perfect selection of inflatable boats, at the best price to performance ratios. As the ideal companion for sailboats and yachts up to 10 meters in length, our SVB water sports experts recommend dinghies from the new SEATEC "NEMO" and "YACHTING" series. These compact inflatables feature slatted floors, which ensure stability and flexibility. In addition, SVB’s SEATEC inflatables all feature: sturdy handles, bailers, extended rear tubing and a towing attachment on the bow. All SEATEC dinghies also come delivered with two collapsible aluminum paddles with plastic blades. How do I store my dinghy on board? Depending on the specific boat size and the available space on board, the dinghy can be inflated and mounted on deck or it can be carefully rolled up and stowed in a locker. When storing it in a locker, make sure that the dinghy is completely dry, otherwise mold may form! The SVB water sports experts don’t recommend folding up your dinghy in the long run, because constant rubbing and wrinkles can cause leaks in the tubing. In addition, the tender should not be stored in an overly cold environment because this can make the material brittle. When it comes to storing the tender on deck, our water sports experts recommend using tarps or tarpaulins to protect the dinghy from UV rays and saltwater. How do I clean and maintain my dinghy? In order to keep the material of your dinghy looking nice, soft and flexible, PVC dinghies should be regularly treated with special care products. We offer many different products from many different brands to suit your needs. In order to get the perfect value for your money, we offer a range of products from our house brand - SEATEC. In cooperation with the cleaning and care specialists – Dulon, we have developed highly effective products for the cleaning and maintenance of dinghies. Despite loving care, your inflatable boat has a hole? No problem with our repair kits! You will receive two large patches in the colour of your inflatable boat, and a PVC adhesive to fix the patches. Our SEATEC inflatable repair kits also include a key for the valve. Other inflatable repair kits contain sandpaper for roughening the adhesive surface instead. In addition to our inflatable boat repair kits, you can also order spare parts for inflatable boats, such as valves, handles and brackets as well as benches and paddles online. Carrying-capacity	 270 kg / 2,5 Pers. 300 kg / 2,5 Pers. 440 kg / 3 Pers. 440 kg / 3 Pers. 610 kg / 3 Pers. 620 kg / 3,5 Pers. 350 kg / 3 Pers. 460 kg / 3 Pers. 500 kg / 4 Pers. 500 kg / 4 Pers. 600 kg / 4 Pers. 720 kg / 4 Pers. 550 kg / 5 Pers. 730 kg / 5 Pers. 380 kg / 3 Pers. 425 kg / 3,5 Pers. 495 kg / 4,5 Pers.